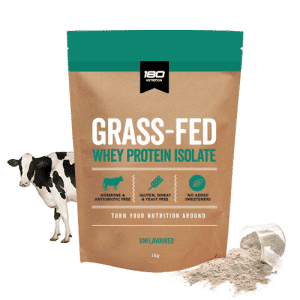 The whey protein isolate (WPI) used in the ingredients of 180 Natural Protein Superfood is Grass Fed Instantised Whey Protein Isolate. It is manufactured by cross flow micro-filtration (MF) and ultra-filtration (UF). Micro-filtration naturally isolates undenatured protein, providing a MF whey protein isolate (WPI) product that is low in fat, high in protein and very low lactose. 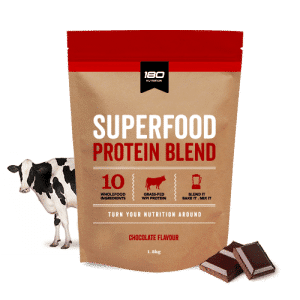 The WPI whey protein isolate is an undenatured, soluble whey protein with excellent nutritive value, making it a great choice of WPI for 180 Natural Protein Superfood. PDCAAS score of 1.00 (Protein Digestibility Corrected Amino Acid Score). 1.00 being the highest. Note: The table below is the nutritional analysis of the WPI whey protein isolate that we use in 180 Superfood Protein Blend and 180 Grass-Fed Whey Protein Isolate. It is NOT the nutritional table of 180 Superfood Protein Blend. Strict quality control procedures are enforced during manufacture of WPI whey protein isolate. The manufacturing environment is also subject to regular monitoring and control. Final product of WPI is tested for chemical, sensory and microbial parameters using internationally recognised procedures. 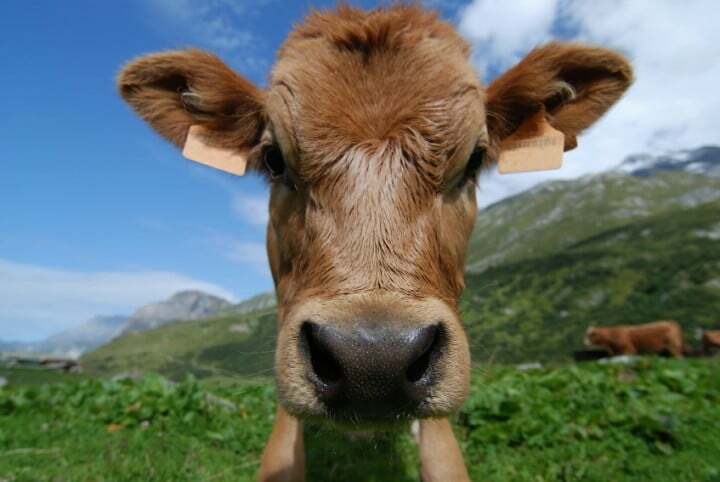 Our grass-fed whey protein isolate is supplied by Fonterra.